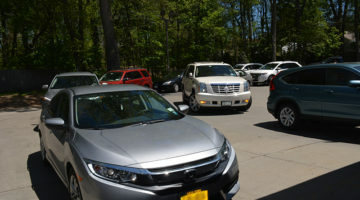 Though express tunnels and in-bay automatics (IBA) are popular carwash options, self-serve locations have long maintained their foothold in the car care industry. Many factors come into play when explaining this wash format’s continued popularity with customers. One of the most important is that today’s self-serve washes have added a wide array of specialized services. New bay selections offer do-it-yourself customers more options, and these à la carte menus provide the chance to fully customize each wash experience. In today’s market, self-serve owners should remember two important steps for operating a successful location: First, upgrade to the latest equipment, and second, utilize proven marketing tactics. Further, informed self-serve operators will rejuvenate their sites cosmetically as well as replace equipment. 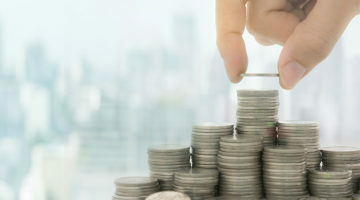 Changes owners should consider beyond equipment upgrades can include addressing lighting concerns, improving site security and adding modern payment options. Tying in with the site and equipment upgrades, increased marketing activity should be utilized to promote the refreshed wash site. Messaging promoting the new wash options should explain the hows and whys involving the methods of modern self-serve washing. Also, the best marketing messages will promote the advantages of self-serve washing and attempt to answer technical questions before the customers ask them. 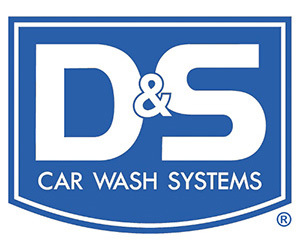 Drew Dressler, director of sales and marketing with D&S Car Wash Systems, reveals that the next generation in self service carwashing technology was developed for the European market. The continued advancement included both foam brush and touch-free style equipment. 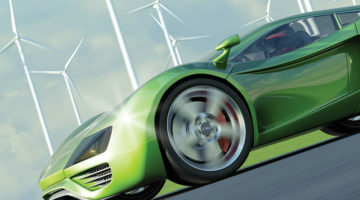 Here, the basic idea was updating equipment design to achieve greater customer satisfaction in the global car care market. Some new self-serve systems on the market are 100 percent injector-based. Dressler explains that chemical injectors are a type of proportioning system that use the Venturi effect of a converging/diverging nozzle to convert the pressure energy of a motive fluid to velocity energy. This effect creates a low-pressure zone that draws in and entrains a suction fluid. This fluid under high pressure is converted into a high-velocity jet at the pumping station and dispensed to the bay for wash application. This type of pump can be compared to other dispensing designs such as dosing systems, air pumps, peristaltic pumps, etc. These examples each have pulsing and pumping qualities. Dressler notes that these other systems are less consistent in chemical mixture ratio, have higher chemical consumption and create less consistent quality for carwash results. Another advantage new self-serve equipment can offer is a miniaturized footprint. Systems that require less space are designed with consideration for the high cost of land, according to Dressler. Compact systems allow the carwash operator or investor to control the level of expense for the property and for maximizing use of overall equipment room space. The newer pumping units are more compact and require less space, as they provide all services from the same system, Dressler states. Older self-serve systems included separate high- and low-pressure systems that were spread out in an equipment room. The requirement of having more equipment also meant the older systems were less efficient and required more service to maintain. This smaller footprint is possible due to certain systems’ “dual circuit” design, Dressler notes. This technology eliminates additional pumping equipment, resulting in increased durability and product life, especially in harsh environments. Further, this design enables continuous chemical flow not only at low pressures but on the high-pressure modes as well. 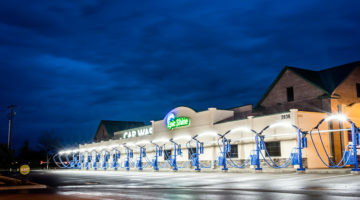 When upgrading a self-serve location, carwash owners will be excited to learn that some new systems are 100 percent preplumbed and prewired, Dressler explains. Based on years of experience, some systems are also constructed of high-quality, 304 stainless steel. “The systems are simple to install, and all inlet and outlet ports are easily maintained,” Dressler continues. Chemical waste is another issue that new self-serve systems can address. 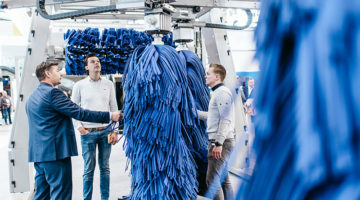 Some options offer a “zero waste” hose system that allows users to easily switch between wash chemicals, and the changeover time between modes is virtually undetectable by the carwash customer. This means the customer can switch between modes with assurance that each chemical is right at the bay and ready for application, according to Dressler. This type of system can eliminate the long purge time between chemical modes that is required with single-hose self-serve systems. Older systems must purge all chemicals from inside the equipment room before a new chemical can be supplied to the bay. Dressler notes that the chemical savings can be substantial with this type of upgraded hose system. Finally, new designs can utilize a VFD-controlled motor and durable plunger pumps. Dressler reveals that, in these modern systems, there are no other pumping components such as dosing equipment, air pumps or peristaltic pumps required for operation. All consumables are delivered to the bay from a single source: the small footprint pumping station. 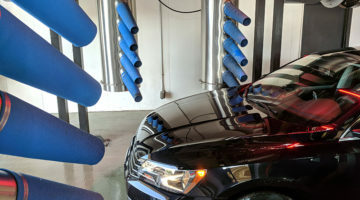 This is an improvement, as years of experience in the car care industry have shown manufacturers that many separate low-pressure designs have shorter lifespans and may cause multiple interruptions in the carwash delivery system. Upgraded foaming technology on new self-serve systems provides superior foaming qualities during low-pressure modes, Dressler states. This allows the chemicals to attack the dirt on vehicle surfaces. 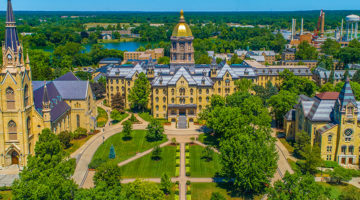 “This technology is most effective because the aerated chemical reacts with dirt and essentially lifts it from the surface, allowing it to be rinsed or removed during the next phase of the wash process,” he says. This type of innovation allows for the highest standards in wash quality and substantial savings in chemical consumption when compared to non-foaming systems and applications. As an option, foaming systems can be configured with a brush service to help provide even higher quality wash results. For areas where the vehicles are extremely dirty, the addition of a foam brush will aid the customer in removing the thick road film and heavy solids that are harder to remove. Often, such brushes are made with hog’s hair, which is soft and safe for vehicle surfaces. Dressler notes that a tricolor or tire scrub brush can be easily added to the system without the need for a separate pumping unit and additional costs to provide the service. The colorful foam produced by some self-serve systems also adds to the customer’s total experience at the wash. 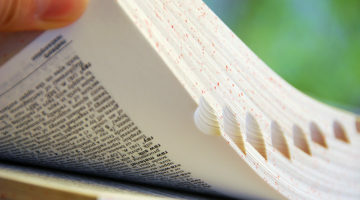 The foam smells good and is pleasing for the customer to use. For touchless self-serve bays, the theory is rather basic. 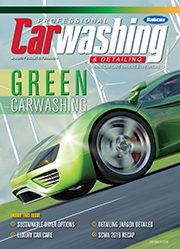 The proper treatment of the incoming carwash water and chemicals will assure a quality touchless wash. 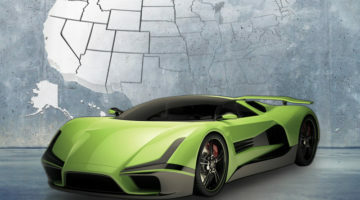 While hand washing and brush washes were commonplace in the past, touchless carwashing technology has recently been a preferred method and is the most common in Europe, Dressler reveals. Dressler explains that other add-on services are proving popular today as well. 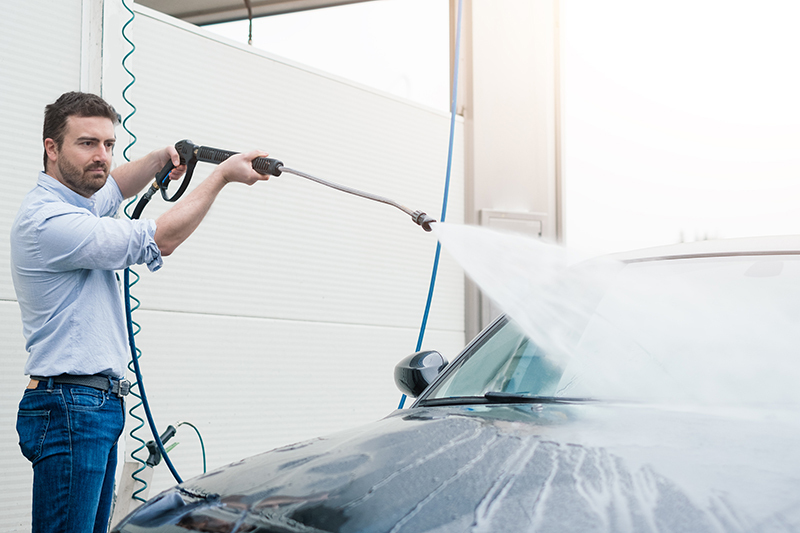 Surface protectant and shine treatment as well as undercarriage washes are now becoming more prevalent for self-serve carwashes in some areas of the country. For customer interaction at the bay, both carwash control and the payment process can be provided by smart terminals. Certain systems now come constructed using stainless steel. These terminal ports are fully automated and provide customers with a convenient interface via a large LED display and a simple push-button design, Dressler states. Once upgrades are made and a site is refreshed, carwash owners can turn to various types of marketing to promote the upgrades. Signage, banners and on-site messaging can be used to catch the eye of drivers in the area. Online advertising, social media messaging and email list sends can be called upon to promote new services to the community as well. 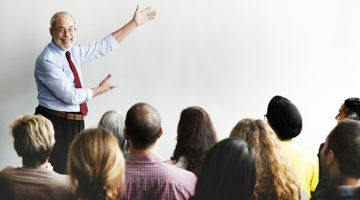 Special events have long been an opportunity for operators to reconnect with customers and reintroduce a location after site changes. Free food, live music and activities for children will always draw new visitors and families in the community. Appearances by radio stations or local celebrities can further boost response to a grand reopening event.